The hottest new tuning firm on the market is readying Porsche’s top-end sedan for a styling upgrade. German Special Customs are patently hard at work. No sooner do we finish with one of their latest tuning packages that another one pops up rearing its freshly reworked face. 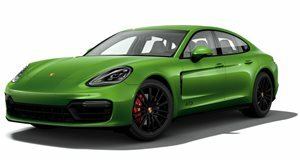 The Porsche Panamera Turbo was chosen for a tune-up this time round, with GSC dubbing it the Nighthawk. A complete carbon bodykit consists of a front and rear lip, side skirts, rear spoiler and hood, while a new twin exhaust kit is also included in the package. For now the Nighthawk is just a rendering, but with established tuners Enco Exclusive on their side it won&apos;t be long for the concept to turn into a reality. And whether the 4.8-liter twin-turbo V8 gets modified remains to be seen. If not, drivers will have to settle for the 500hp and 516lb-ft of torque it manages to produce, good for a 0-62mph time of 3.3 seconds and a 188mph top speed.